Dreadhalls is a fine example of an immersive VR game done right. 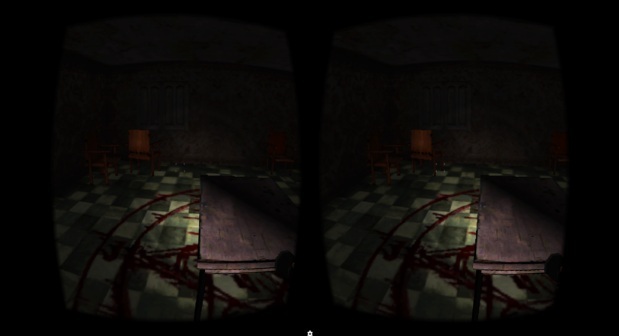 Virtual reality and horror games go together better than cookies and milk. Whether it’s due to the immersion or the ambiance horror games on VR manage to create, they are genuinely terrifying and Dreadhalls is no exception. 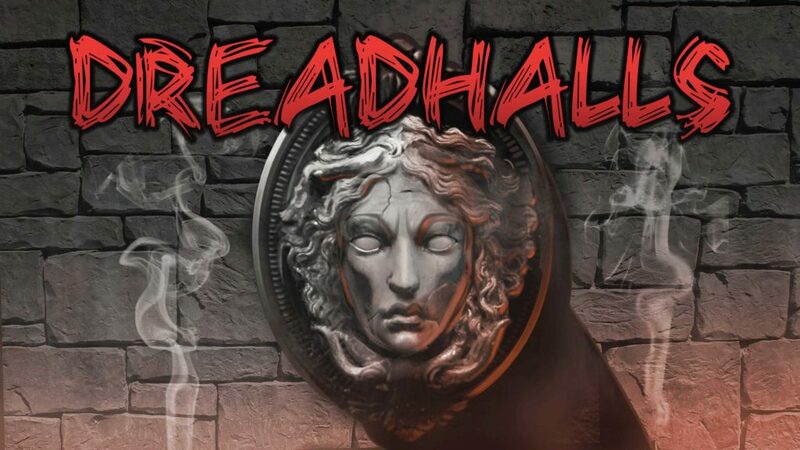 Dreadhalls combines jump scares with a great atmosphere to deliver a game that will keep you on the edge the entire time you play but what truly makes it standout is the amazing sound it has to offer. The concept is simple, you’re locked in a labyrinth and you need to look for a way to get out while you’re being hunted down by minsters. As a VR horror game, it doesn’t offer a ton of variety since you’ll mostly be running down narrow hallways that might not be all that scary but when the scares pop-up they’ll definitely fill you up with dread. Dreadhalls is like almost every other horror FPS game you’ve ever played – just in VR. The controls are simple, you move the camera and interact with objects using the mouse and move with the keyboard. Since you’ll be trying to survive in very clustered places the lack of controls doesn’t affect the gameplay in any way which makes it even more tense. Even though you can move the camera by moving your head, it moves so slowly that you have to rely on the mouse to actually keep up as you run for your life. nauseating to play. If you can get over the controls, then what awaits you is one of the best VR horror games you can find. From the start, Dreadhalls tries to stand out as being its own unique game rather than following a specific formula like other FPS horror games in 2017 do. For starters, it gets rid of the traditional mini-map and replaces it with an actual map that you have to check on your own that adds a lair of immersion that I didn’t think would be possible. 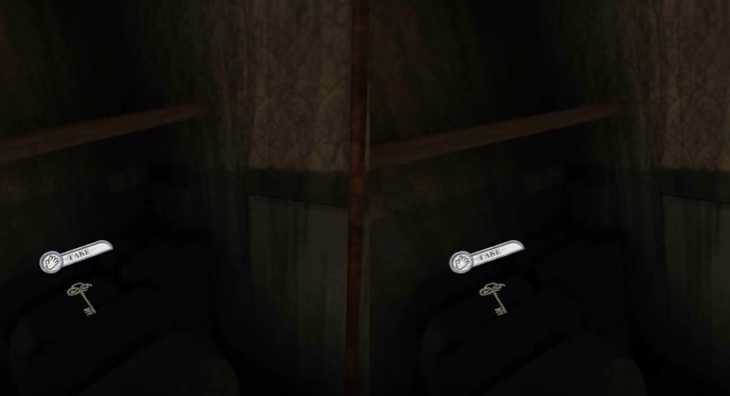 By simply removing something as simple as a mini-map and thus increasing in-game interaction, Dreadhalls felt more realistic than any other 2017 VR horror game. As you explore new places more locations and points of interest are added to the map as well as giving you a sense of how far you’ve progressed and far you’ve yet to go. What really makes the game a must play for VR horror game lovers is the atmosphere. Unlike other horror games, Dreadhalls doesn’t just simply rely on jump scares and over dramatic music but from the very start manages to establish itself as a game that‘s all about atmosphere. Not many games can manage to pull off making unlocking a door as nerve wrecking as Dreadhalls. As you move around from corridor to corridor, you’ll need to unlock doors every now and then while avoiding being spotted by the monsters. Waiting for the door to unlock as the music picks up and accompanied by the noise of the monsters running your way really makes for a great treat for anyone that likes the thrill only dread can bring. When the monsters do manage to catch you the only option you have is to run and try to lose them in the maze of corridors which is easier said than done. The simplicity and the randomness of the game not only make it unpredictable but also give it great replay value. As you walk through the narrow corridors, your view is restricted and the only thing that’s lighting your way is your lantern which you need to gather oil for. Even when you turn the lantern off to avoid being detected, the game somehow manages to provide enough illumination to help you navigate without giving away the source of the light which further adds to the atmosphere of uncertainty. At the same time, the sound effects and ambient noise keeps you on the edge always wondering what lies behind the next corner. 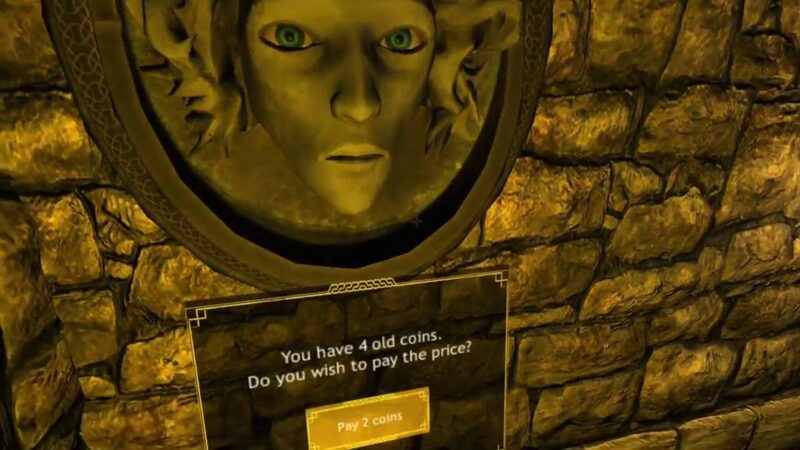 Though it may be hard to believe, Dreadhalls actually follows a pretty decent story that you learn by picking up coins and exchanging them at a stone Medusa head for bits and info about the story and the mazes. You can also use coins you pick up to buy more useful items which include lantern oil. This gives the game an RPG-ish feel that makes it feel like a more fleshed out game rather than just a quick jump scare. Overall, Dreadhalls is burdened by the same control issues almost every other VR game faces but beyond that, it offers a horror experience like no other. With an amazing atmosphere and equally amazing music with an abundance of jump scares, this is one of the best VR horror games you can hope to find. Having been a fan of Resident Evil since the inception back in the mid 90’s I, like many others, felt the series lost its way around Resident Evil 6-ish. Resident Evil 4 was a tremendous game, but the direction CapCom took the series in after this release was not to every ones taste. 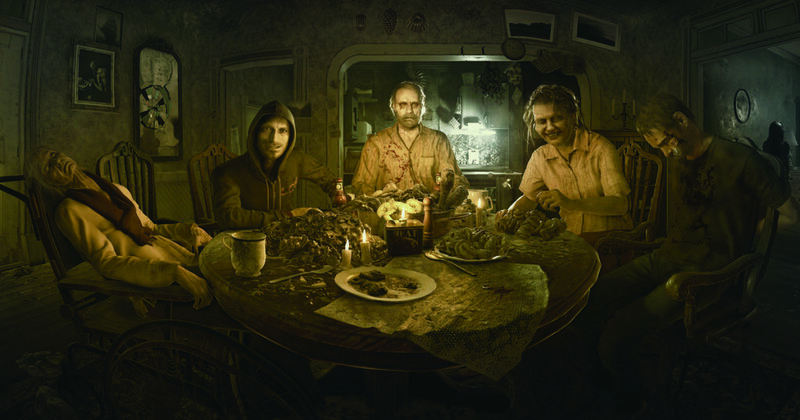 Resident Evil 7 and PlayStation VR though take the series back to its…. 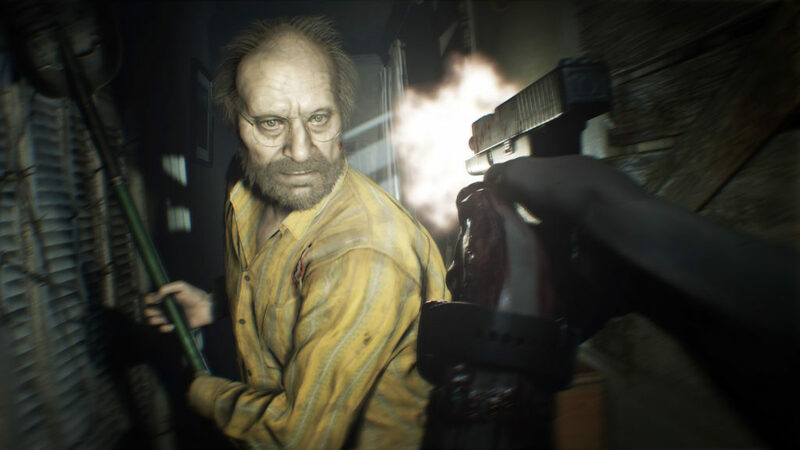 I was going to say survival horror, but the truth is Resident Evil 7 is a straight up horror experience that proves VR horror games cannot just work, but offer a scary experience that not even a movie can match. This is honestly the question you have to ask yourself before you fire up Resident Evil 7 in VR. I am a big horror fan and a big video game fan. I had dabbled a little with VR before the release of Resident Evil 7 and while I had heard it was the ultimate when it came to VR horror games I was sold, but honestly nothing can prepare you for the experience that awaits you in Resident Evil 7. Even without the PlayStation VR, Resident Evil 7 is an immersive experience as it is a first person game (although not actually the first game in the series to offer first person action) but when you put on that helmet and see the creepy house, the dark and dank basement all start to feel too damn real! It is very hard to explain to someone who has not actually experienced it, but you know how when you play a first person horror game and you sort of peek around a corner? And you get all kinds of emotions rushing when you think what could be around that corner? Well, amplify that by about a thousand because while this is a video game, it feels like it’s really happening to you right now. I cannot stress that enough. Within the first five minutes you spend in the house, you realize that Resident Evil 7 is not like the other couple of VR horror games we have had. It feels like a movie, a movie that really is life or death for you. So, what about the story? By now you are probably wondering (if you do not already know) what the storyline of Resident Evil 7 is. Well without giving too much away, you play the role of Ethan Winters who heads to an “abandoned” plantation in order to find his missing wife. The plantation as you have probably expected is not abandoned and Ethan must fight of a crazed family called the Baker family. Honestly any more info on the story and I would rob you of all the drama, suspense and horror that comes with it. 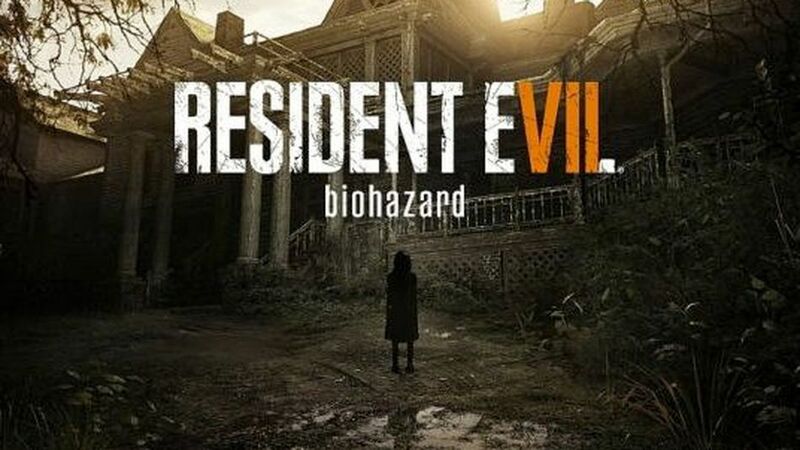 It really does not feel like a Resident Evil game, many people have said it has a more Silent Hill kind of feel to it and that is actually a very good comparison. Resident Evil 7 is the kind of game that is so intriguing that you will just want to keep on playing…. If your nerves can handle it of course. I was very excited for the emergence of VR horror games, but I have to admit that I was a little worried about how these games would control. Resident Evil 7 does not have that problem as you control the game with the good ol’ PlayStation 4 controller. Some may say this takes away certain aspects of the immersion effect, but trust me it really doesn’t. You will be gripping the controller super tight many, many times during the game. If you have played a first person game before then you will be right at home with this. It may take a little while to get your bearings, but the confusion should pass quickly. In all honesty I think using the PlayStation 4 controller instead of the “Move controllers” was really a step to the right direction by the developers and makes the whole game much better. So, sell me on the VR! Ok so we have established that Resident Evil 7 is a well made game. It plays great, the VR is great and in general CapCom have done a great job. The problem the game has is the same problem that all VR horror games are going to have and that is it really is the kind of thing that you have to experience to see just how good it is, but I will try to describe why this is the best VR experience on PlayStation VR right now. CapCom have really crafted a world here that feels real. Not only that, but the world is full of danger and you are always on edge. The way the Baker family stalk and talk to you is truly unnerving and you will find yourself turning your head or just flat out closing your eyes when things get a little too much. If you have ever wanted to feel like you are in a horror movie then short of making some device that can magically transport you into one, this is as close as you will ever get. Resident Evil 7 is a truly fantastic game and one that is setting the series up for some very big things. In terms of VR it really is astounding and if there is one game that proves VR can work and that VR horror games are going to be huge it is this. If you have a PlayStation VR then this is a game you have to play. If you have been looking for a reason to purchase a PlayStation VR headset then Resident Evil 7 is that reason. And finally, if you are looking for a way to get Resident Evil 7 Biohazard for free then you will want to check out steam.ynef.net which is a service that rewards you with various Steam Keys (including Resident Evil 7) when you complete a couple of surveys and invite your friends to do the same. No strings attached. 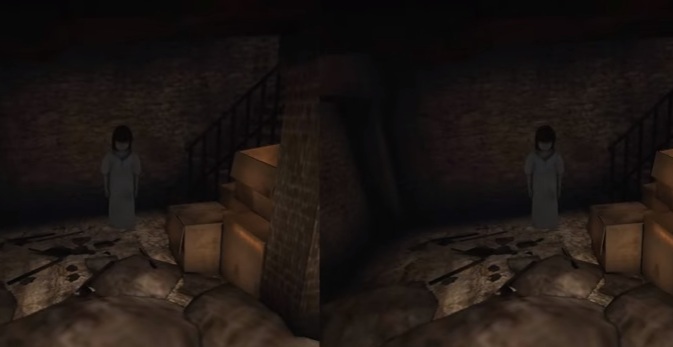 House of Terror is by far one of the best looking vr horror games for Google Cardboard. Unlike Silent Home, for example, House of Terror definitely feels a lot less, well, indie. However it’s also a clear example of how looks can be quite deceiving. While the graphics are absolutely amazing for a Google Cardboard game, it isn’t immersive at all. When I played it with my Samsung Galaxy S2, I could hardly enjoy it and had to eventually just watch this gameplay video instead. When you play House of Terror using a regular smartphone and a Google Cardboard headset, you’ll most likely experience double vision. It feels almost as if you were crossing your eyes. The game also doesn’t support the magnetic trigger. And since I happen to have the older Cardboard model, I had to use the opening around the nose to tap the screen. For what it’s worth, I don’t blame the developers for that. The magnetic trigger is very unreliable for input anyway. But why isn’t it immersive? Well because the developer has most likely not used the official Google Cardboard SDK to create this game. Because of that it lacks both the vignette effect and barrel distortion. Features which put together inside a Cardboard headset will make immersion complete. Contrary to popular belief, simply splitting the screen in half just wouldn’t cut it. No pun intended. You start out in a run down kitchen. The door immediately to your right takes you to a living room with a nasty spider. Unless you want to enjoy the scenery, there’s nothing to do in there so just go straight ahead, past the sink, minding the broken glass on the floor. Now open the door to your right and enter a short hallway. The door on the left here takes you to the bathroom. Not much to see here other than a baby carriage and lots of broken tiles. Continue onward in the hallway. Go straight, past the shelf, the broken wall and immediately after the painting you will come to an opening with stairs leading upstairs. Unfortunately you cannot go upstairs because there’s a monster blocking the way. It will fall from the ceiling when you attempt to climb the staircase (jumpscare notice). It will also kill you if you touch it! Don’t bother touching the double doors at the other end of the staircase room. They are firmly locked. Instead continue walking down the short hallway with three white doors on each wall at the end. The door on the left wall takes you to a storage room with nothing interesting inside other than a few boxes and broken stuff. You can look through the hole in the wall if you like. The door on the other side, or on the right side of the hallway wall is of much more interest to us. It leads us to a garage with an old car inside. Do mind the holes on the floor right before yet another door. Spikes will come out of these and they will kill you. Instead, look to your right and you should see a switch somewhere on the wall with a “Touch” icon on it. Do as you’re told and watch the rusty spikes gradually fall back into the holes. This time they will stay there because you just turned off the power. Now you’re free to pass the doorway into a smaller room with a bunch of old things like a shovel, some boxes and a window with moonlight shining through. We are after the key which you most certainly have seen by now. Take the key and go back to where the staircase was. Go past the stairs and unlock the basement door using the key you just found. Go down the basement and take a look at an old photo on the shelves. Doing this effectively ends the first chapter and you will be shown a cutscene of a girl standing over a dead guy with a knife in her hand. 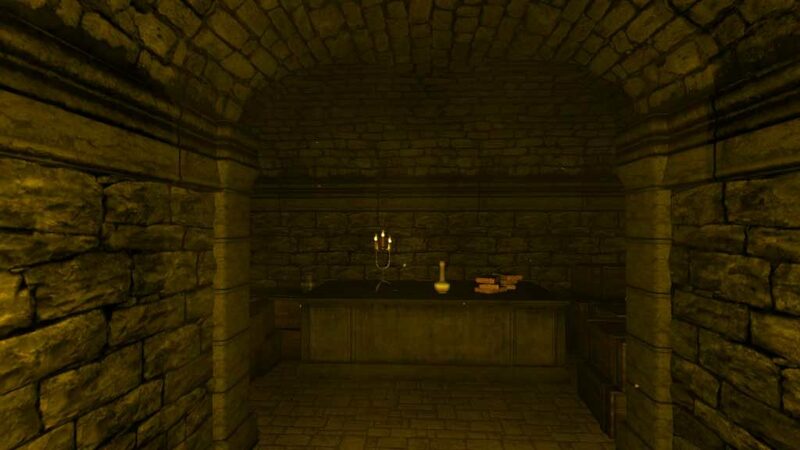 After the cutscene you are back in control in a place that looks like the same basement. 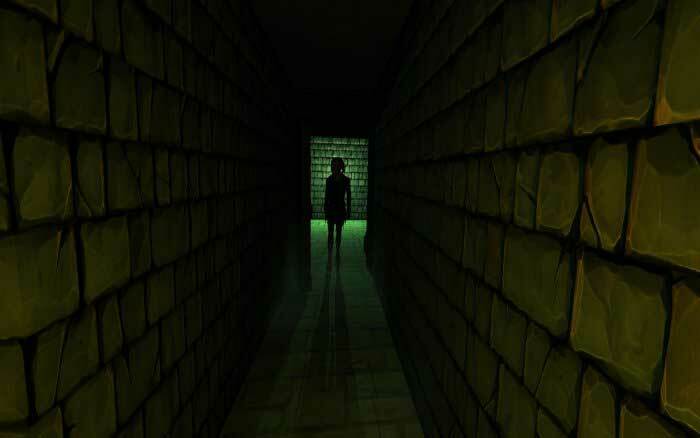 Turn around and (jumpscare notice) you will see a ghostly little girl standing at the stairs. Don’t be afraid to approach her because when you do, she’ll just turn and hover up the stairs through the door. She won’t actually hurt you, but if the volume is high enough the sound effect could potentially scare you. Follow her through the door and you’ll notice that the environment has changed. You are now in what appears to be a hallway of an abandoned school with lockers on both sides of the walls. Unfortunately this is where the free chapter ends and naturally where this walkthrough will end as well. *EDIT* An eager reader, Jay, has pointed out that the free game will in fact continue on from this point. All you need to do is register with a valid email address. You can see his comment below the article about it. If the game were compatible with my phone and the Google Cardboard I would definitely consider paying for the full game, but right now I would prefer watching someone else play. As I mentioned in the beginning of this article, the game isn’t half as immersive as other similar games like Silent Home, for example. Or my own little side-project called Haunted Motel. (I will be writing an article on that shortly). There’s a reason why game developers who are producing apps for the Google Cardboard should use the official SDK and that’s because it’s meant to be used! When you simply split your screen in half and expect it to work everywhere, you are going to be massively disappointed. That said, I am sure there are phones out there that can make this game enjoyable, but for me this just wasn’t the case. I can’t say anything bad about the 3D models, the rooms and the overall atmosphere in the game though. It’s all very well done and clearly shows dedication to detail. Developed by SuperMonkeyFun, Silent Home is one of the most terrifying free to play VR horror games currently available on Play Store. And because of its relatively low system requirements, you can enjoy the game even on medium to low end smartphones. I am playing it on my 5 years old Samsung Galaxy S2 and it still runs smoothly, for example. 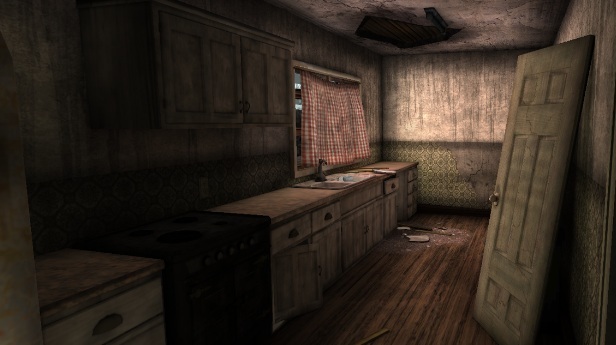 Unlike many other early vr games on the market, Silent Home is actually very playable. For one, you don’t get the annoying double vision effect that’s common to many first-generation vr apps. Both, the movement system as well as the high quality sound effects are spot on. I really recommend using headphones when you play this game for a completely immersive experience. You find yourself stuck in a haunted house with seemingly no way out. What’s more, the main hallway appears to loop back in on itself similarly to what we saw in the Silent Hills demo. In fact, as the author states in his Reddit thread, Silent Hills was a big source of inspiration when developing the game. Somewhere within the house there is a mysterious book. Find it, and you can figure out how to escape the building. Thing is, the restless spirit wandering the hallways manages to hide the book in a different place each time. An ingenious approach to keep the gamer hooked for hours if you ask me! For a simple indie VR horror game the graphics are plain awesome. The fact that developers have put their blood, sweat and tears into the project becomes immediately apparent as soon as you put on the headset. The ambient sound effects coupled by random hauntings throughout the game session will scare the living crap out of you. 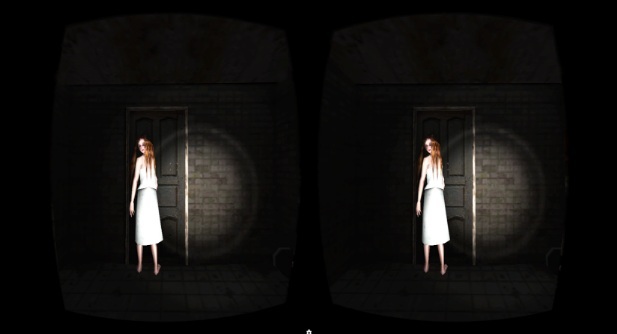 And despite being a Google Cardboard game, it manages to create a surprisingly immersive vr horror experience. Every time I play the game I find myself disoriented, meaning I am almost always wrong when I try to visualize which direction I’m staring at in the real world. The controls and movement system are great as well. I’ve read some negative reviews about it, but in my opinion everything is working as expected. Since it’s a Cardboard game, there is only one action button so figuring it all out shouldn’t take that long. You just press the button once to start walking and then press it again to stop. You can interact with various objects much the same way. 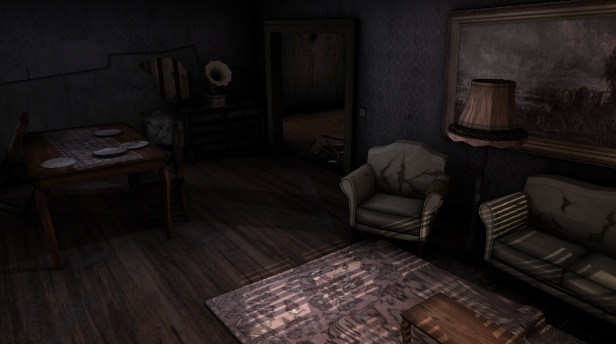 Given the limited options of the Google Cardboard headset as a whole, Silent Home is without a doubt one of the best games of its kind. It’s simple, immersive and will most likely scare the bejesus out of you. 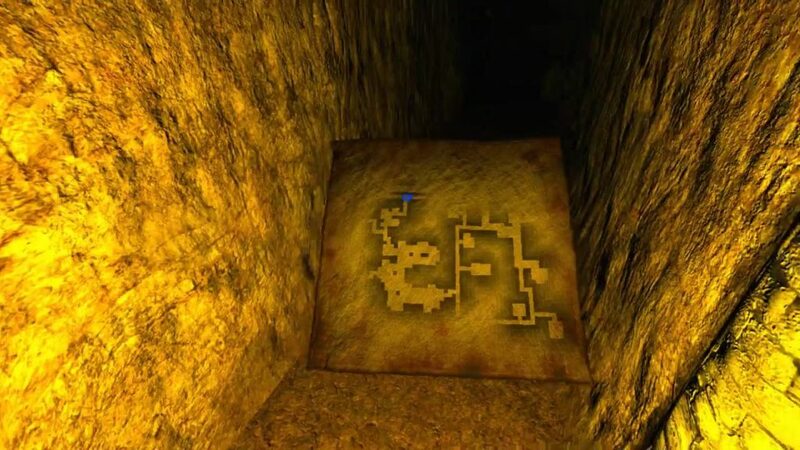 I’m not ashamed to say that it was the first vr horror game that managed to frighten me to the point where I had to take off the headset and check whether or not I was still in one piece. If you haven’t had the chance to play it yet, I really, really recommend you do it at once. Go ahead, grab a free copy right now!